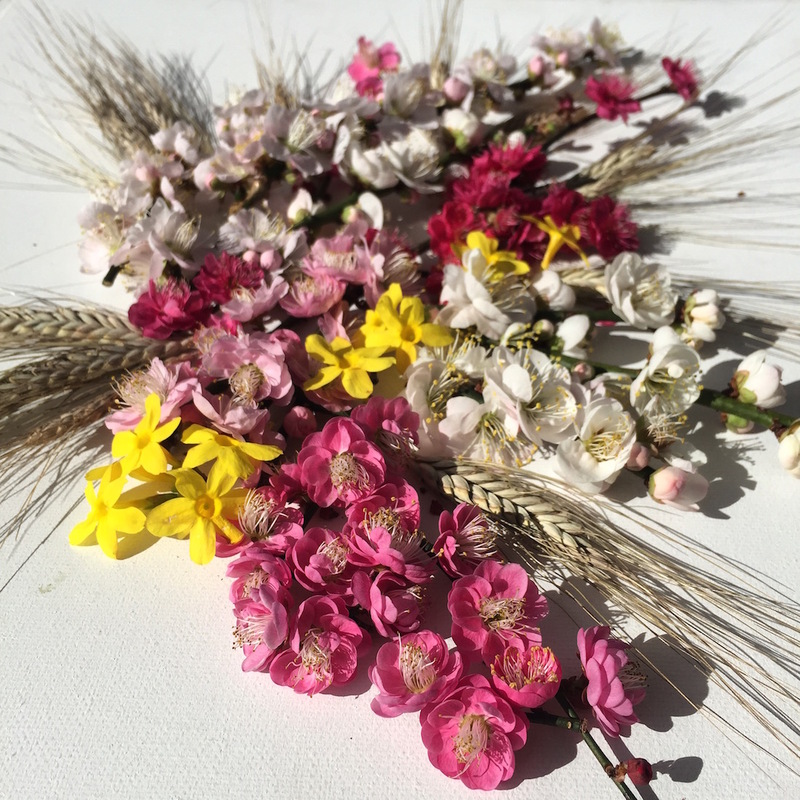 From berries and bark for festive decor to winter-flowering fragrant shrubs, Brie gives us a glimpse into the favorites that liven up her Southern garden in the cool season. 'Tis the season to be jolly and not just because we are in the midst of the holiday season. Winter is a delightful time to play outside and celebrate all that you have grown in the past year. It is also the perfect time to evaluate your landscape and plan for additions that will make your yard stand out from the rest. 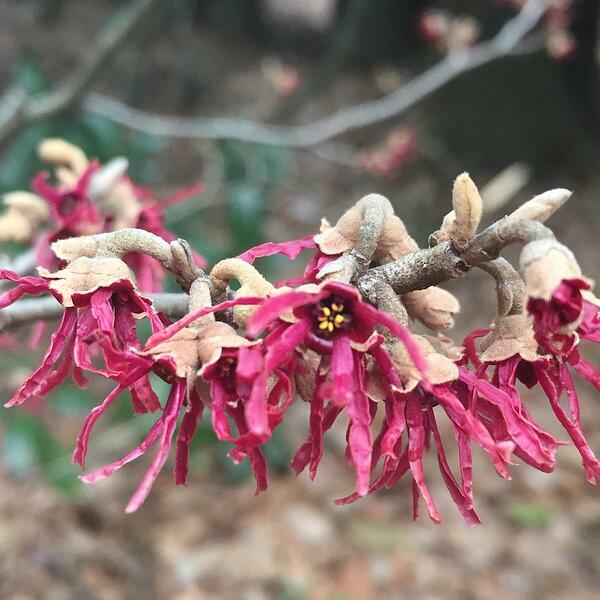 From fragrant blooms to berries and bark, I have a few end-of-the-year plant suggestions to make this winter the most beautiful season of all! The silver buds of paperbush provide much anticipation through the winter. In my last blog post of 2018, I will cover winter interest plant recommendations and the importance of planting in Soil3. Visit the Soil3 Instagram to see what I shared in my Instagram Takeover on Friday, November 30. It was a fun day filled with decorating ideas for the holidays using homegrown plant material including cuttings from my woody ornamental collection and dried summer crops such as cotton, okra, poppies and sesame! Witch hazel blooms brighten a cold winter day. The possibilities are endless when it comes to designing and planting a landscape abundant with winter interest. Here in the Southeast we have so many gorgeous plants to choose from! 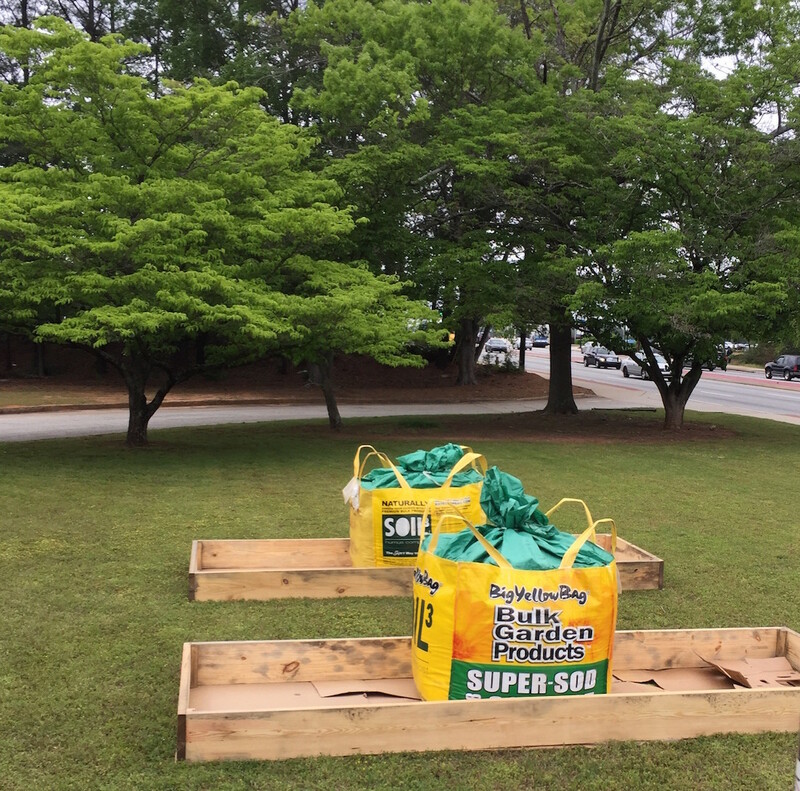 It’s easy – just topdress your beds with Soil3 compost to ensure the roots will thrive through the temperature extremes of the months ahead.  Using Soil3 compost also reduces your need to add fertilizer – I actually don’t fertilize any of my early winter plantings as they grow happily with Soil3 as their source of nutrition. You can spice up container plantings and landscape edges by planting annuals and perennials in containers filled with Soil3 and bed edges. A few of my favorite sun-loving, cool season annuals include kale, mustard, chard and violas, which prove to be hardier than the standard pansy. Consider scattering seed of carrots, cilantro and barley in areas of open mulch space to create a lively winter ground cover that will attract pollinators in the spring. 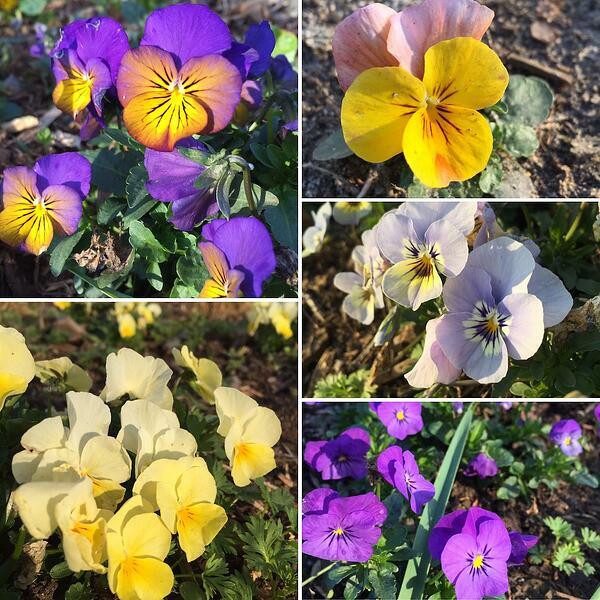 Violas come in many colors and are more cold tolerant than pansies. 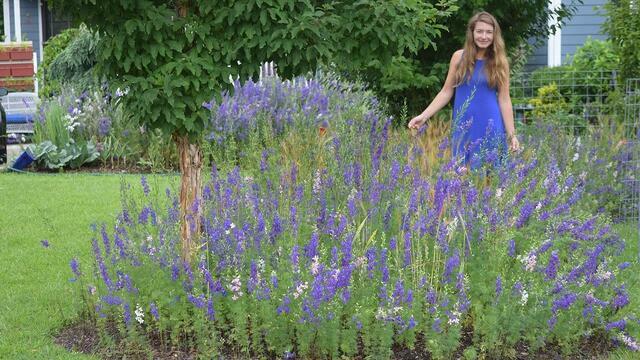 Of course winter blooming perennials are also a great way to make an ordinary planting look amazing for the holidays. I plant shade-tolerant species like hellebores, coral bells and rohdea in containers and landscape beds while evergreen succulents like hardy sedum and variegated yucca are an ideal low maintenance addition to window boxes and planters. 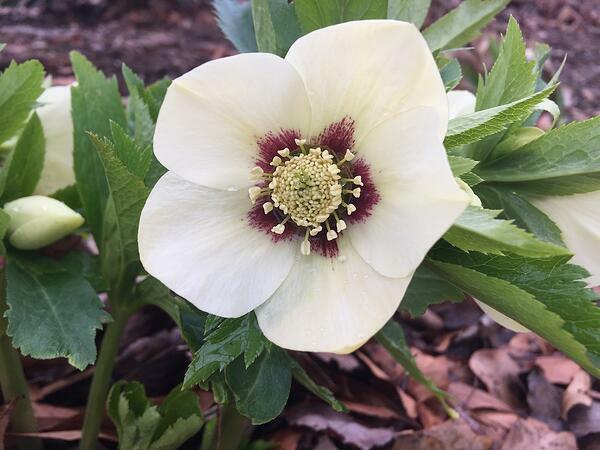 Hellebores are an easy-to-grow perennial that bloom from December to March. But winter really is a time for trees and shrubs to shine. As a former propagator and grower of rare trees and shrubs, woody ornamentals are my first love. Having grown up in Michigan, where winters were white and frozen, seeing things come to life in the “off season” down here in the South will never cease to amaze me. 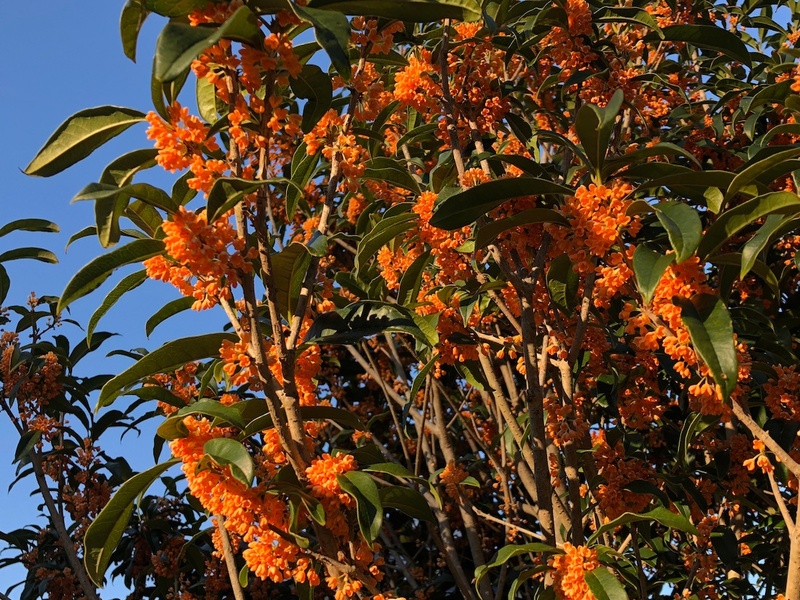 Boasting fragrant, colorful blooms, berries and interesting bark, trees and shrubs make up the bones of your Southern garden. These recommendations will make your winter extra special! 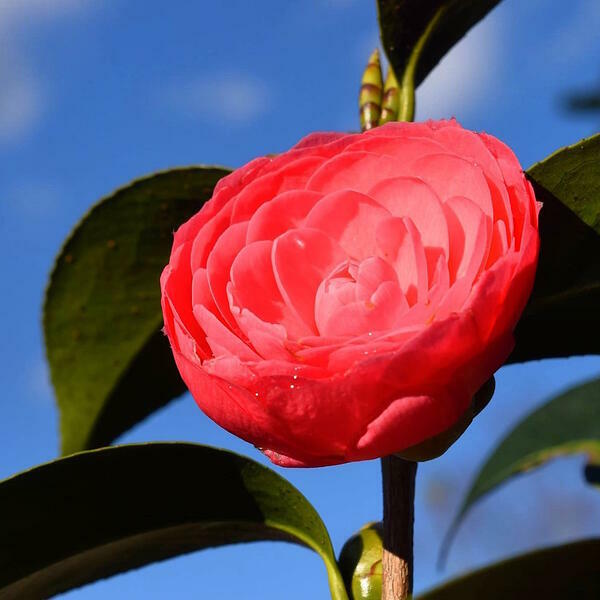 Camellia japonica 'jacks' is a perfect landscape plant with a pyramidal habit, dark green leaves and brilliant pink formal double flowers. Consider planting a collection of camellias for dynamic winter blooms. 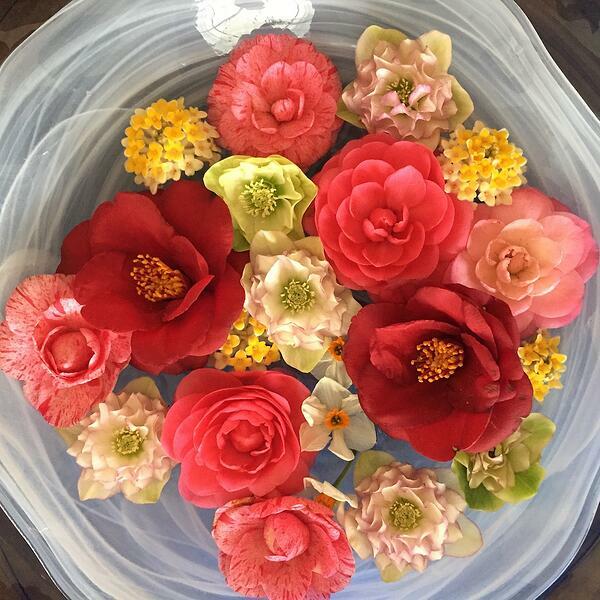 Camellias are a classic plant of the South, having been brought to the US by early European explorers from Asia. 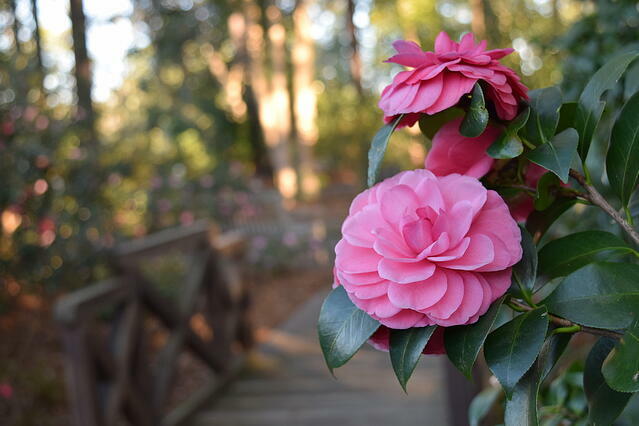 Camellias are very well suited for the climate and soil of the Southeast. They thrive in acidic conditions and need to be planted high to ensure proper drainage. Upon planting my camellia collection I added about 5 gallons of Soil3 to each hole to ensure their roots would easily find access to nutrients. Invest in both fall and winter blooming varieties to extend your flowering season from August to April! Floating winter blooms in a bowl is a unique way to bring your garden indoors. 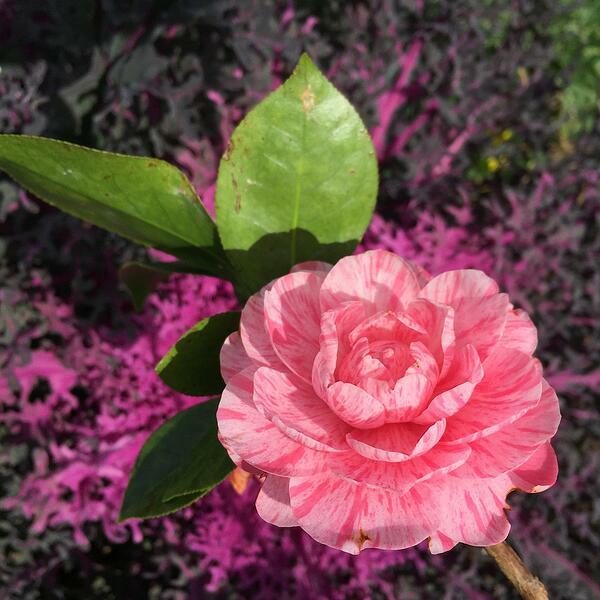 The Southern Living Plant Collection offers a wide selection of colors and growth habits in the ‘October magic’ Camellia sasanqua series. These generally start blooming in mid-autumn and can flower through the holidays in mild climates. Camellia japonica 'roma rissorta' is an "old world" variety that looks great against a backdrop of kale. 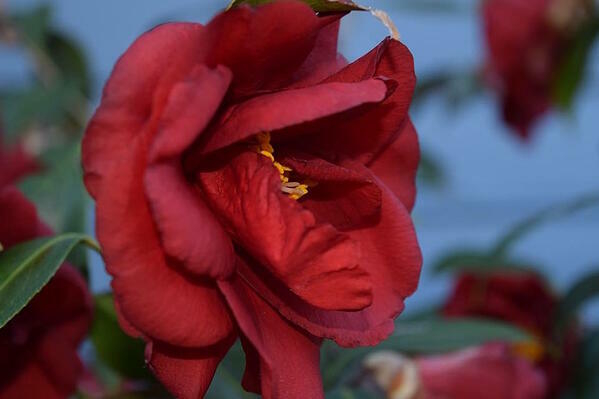 Camellia japonica 'Royal Velvet' is often in bloom for Valentine's Day. 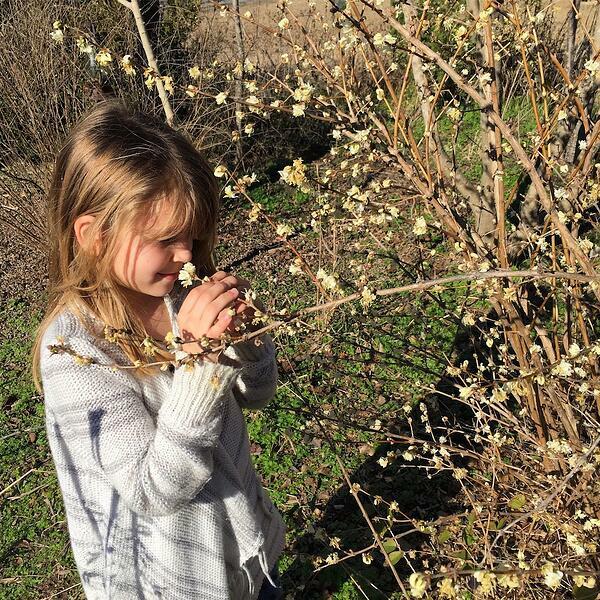 Flowering apricots provide fragrance as cut branches and can add a pop of color to your decorating. Here they're combined with winter jasmine. Winter is also a time for incredible fragrance both outside and in. 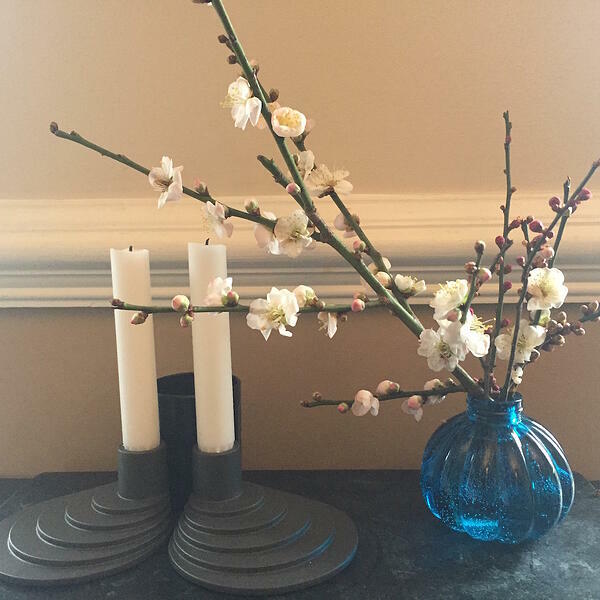 One of my favorite winter habits is walking through the garden collecting small flowering branches for indoor arrangements. Fragrant bush honeysuckle is a low-maintenance shrub with sweet-scented winter flowers. Bush honeysuckle, Lonicera fragrantissima, is a sweet addition to a property border that will fill the air with a sweet perfume. 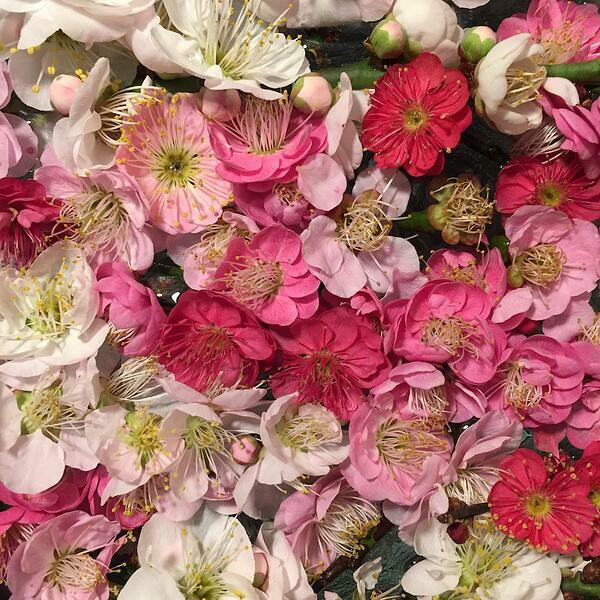 Other winter show stoppers include flowering apricots, Prunus mume. These small trees add a pop of color when you least expect it and range in colors from white to dark red. Look for varieties such as ‘Peggy Clarke’ or ‘kobai’ for beautiful fragrant pink blossoms in the middle of winter. 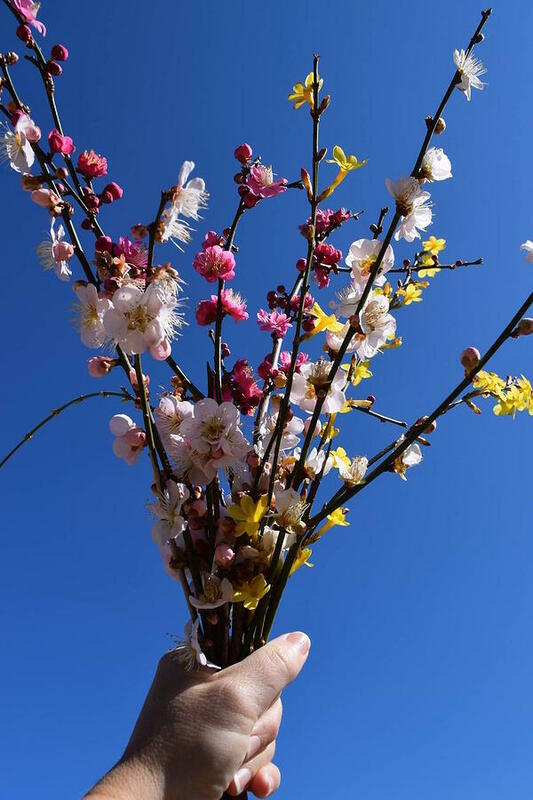 Flowering apricots come in a wide assortment of colors. 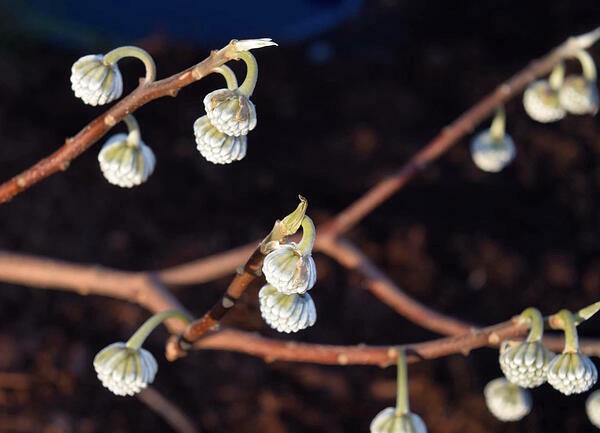 Of course no one should be without the unstoppable Edgeworthia chrysantha also known as paper bush. 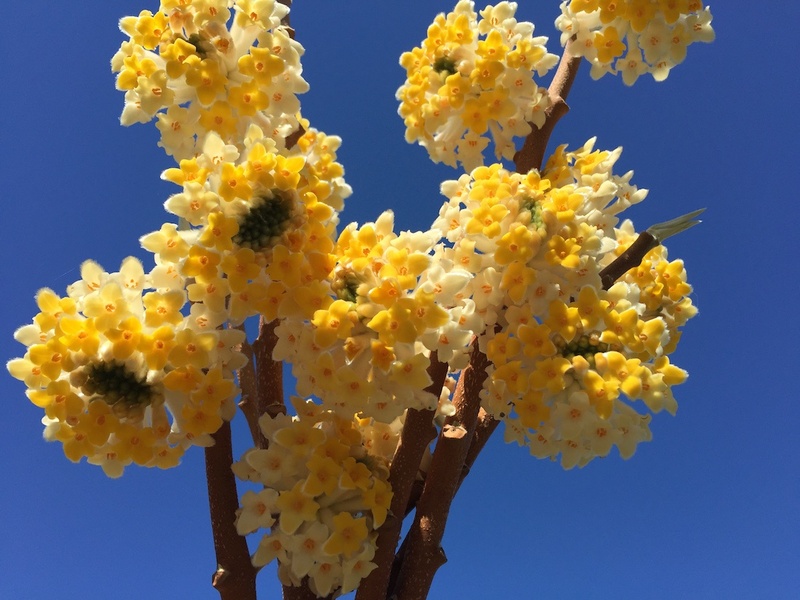 This deciduous shrub is a perfect landscape specimen, complete with bright yellow, super-fragrant blossoms in the midst of winter. Related to Daphne odora, paper bush is more tolerant of wet soil, making it a better, long-lived option for the Southern landscape. The fragrant yellow flowers of paper bush make winter extra special. I will never tire of fragrant tea olives, Osmanthus fragrans, whose tiny white flowers mark the start of the cool season. The orange flowered selection ‘aurantiacus’ blooms for weeks and provides nectar for diverse pollinators. Fragrant tea olive is an ideal property border plant that fills the air with sweetness. Bright red new growth on the coral bark Japanese maple makes this a highly prized winter interest specimen. I have also have grown to depend on trees and shrubs that provide interest from their bark. Take for example the one and only ‘coral bark maple’ (Acer palmatum ‘sangu kaku’). 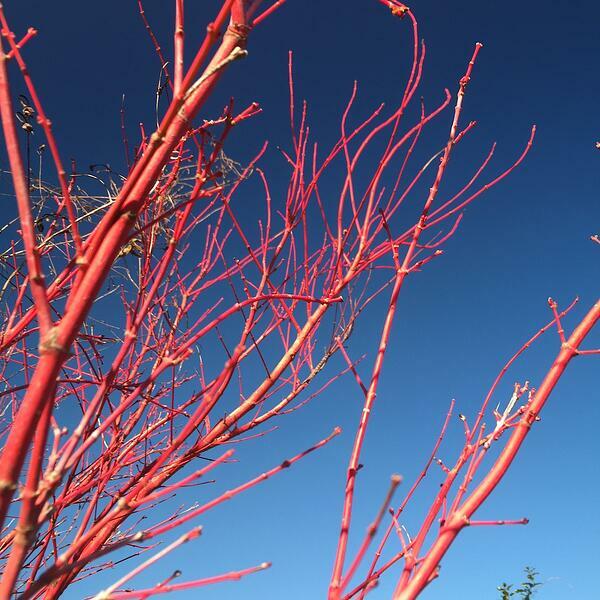 The bright red new growth of the branches looks incredible against an evergreen backdrop or a clear blue winter sky. They are equally impressive when used in cut flower arrangements, wreaths and other indoor holidays displays. Another favorite shrub with an interesting branching habit is ‘Harry Lauder’s walking stick.’ This hazelnut relative (Corylus avellana ‘contorta’) makes an impressive specimen in the landscape and offers dynamic curly branches for table settings. I love to hang holiday bulbs on this plant both indoors and out. 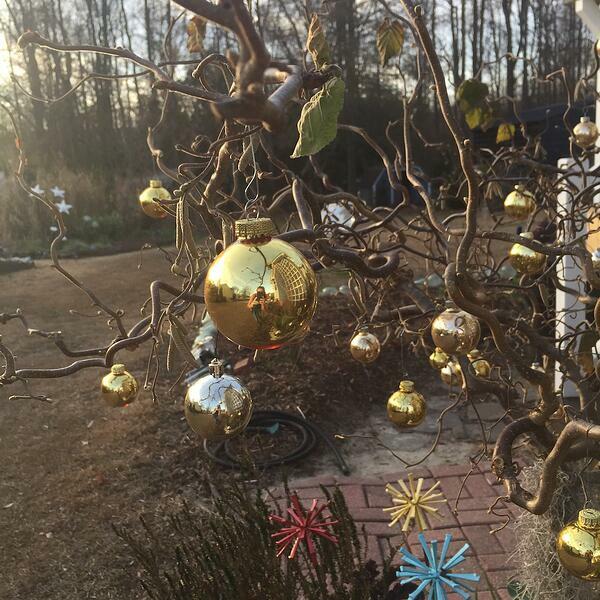 Harry Lauder's walking stick is a fun shrub to decorate with holiday bulbs. Exfoliating bark is another way to create seasonal interest. ‘Natchez’ crape myrtle is a great example of a tree that offers year-round beauty from its smooth mahogany-colored trunks. Stewartia species, Chinese elms and the winter flowering Cornus mas all have bark that peels to show color variation. My all-time favorite “peely bark” specimen is Acer triflorum, a small statured tree with butter yellow fall color and the greatest trunk texture of all time. 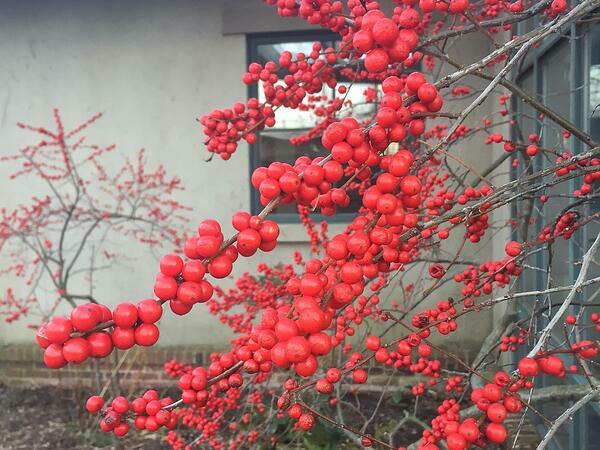 Winterberry hollies add holiday cheer to the landscape. As a holiday tradition many people harvest berries from their holly trees to decorate for the season. Winterberry holly, Ilex verticillata, is an ideal specimen for Southern gardens boasting an upright habit with leaf-free branches covered in red, yellow, or orange berries. Other specimens with colorful berries include ‘nandina,’ which many home landscapes already have planted. These Asian native berries are best harvested for the holidays, preventing any potential invasive seeding or harm to passing birds in late winter. 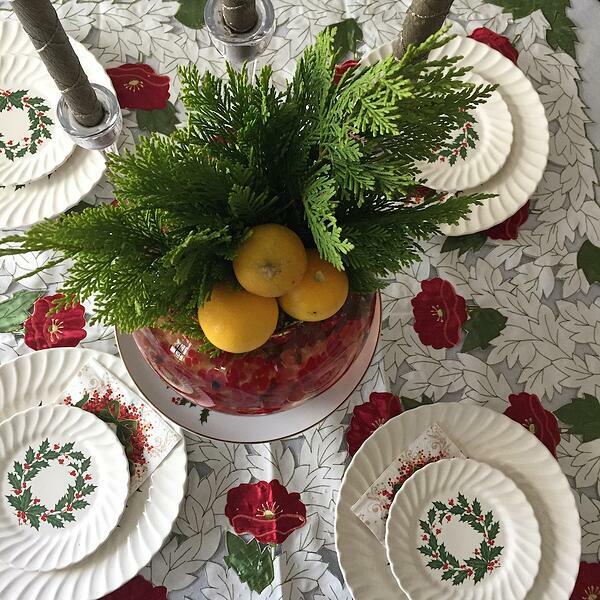 'Kerdalo' Chamacyparis is an easy way to brighten your holiday table decorations. Conifers are the most reliable source for winter interest foliage. From dark green bows of traditional holiday firs to bright yellow branches of Chamacepyparis obtusa ‘Kerdalo’ Southern-tolerant conifers such as cryptomeria, junipers and arborvitae are an easy way to create screening, habitat, and easy-to-access holiday decorations. Stuff containers and window boxes with cut conifer branches to add long lasting color and texture with NO water needed. The addition of bulbs and lights will show your holiday spirit. 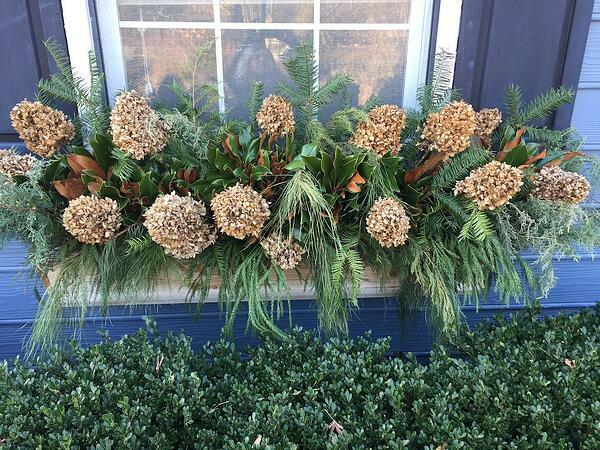 A mix of conifer branches and spray-painted dried blooms of limelight hydrangea complete this holiday-inspired window box. Broad leaf evergreens such as the native Southern magnolia (Magnolia grandiflora) are fabulous additions to property borders. Look for interesting varieties like ‘teddy bear’ with round leaves or ‘little gem’ which offers a long blooming season. Nothing says Christmas in the South quite like cut magnolia branches! Keeping it classic, this window box is stuffed with natural elements from the landscape including hydrangea blooms, branches of Southern magnolia, pine and other conifers. A final unexpected pop of tropical texture is Trachycarpus fortunei also known as the hardy windmill palm. This is an excellent winter interest specimen both in the landscape and as a cut foliage addition to containers. The fronds looks great year round, especially with a dusting of snow. 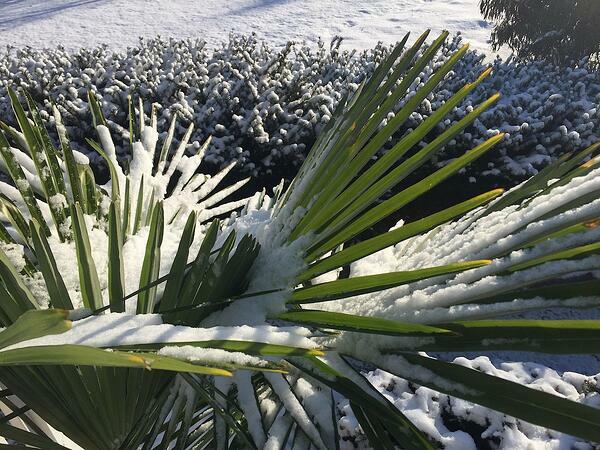 The hardy windmill palm adds drama to freshly fallen snow. This holiday season, I hope you are inspired to add some winter interest plants to your landscape and enjoy all they have to offer inside and out! 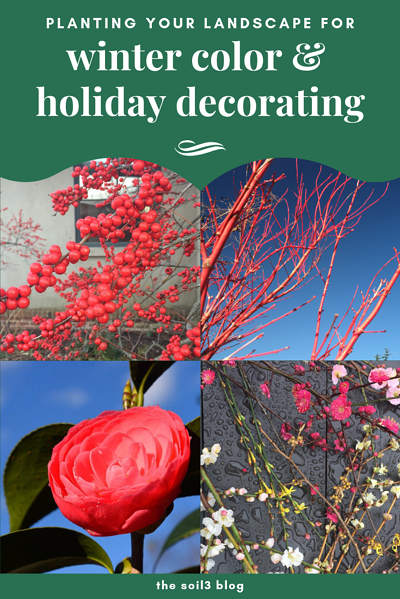 Be creative while decorating for the holidays by using elements from your landscape. Celebrate being a Southern gardener by adding colorful plants for year-round displays. 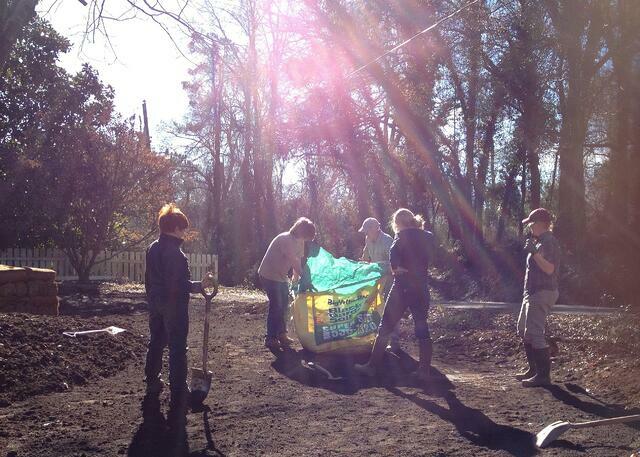 And remember, happy plants always start with healthy soil. That is why I grow all of my plants in Soil3 compost. Small branches of flowering apricot provide garden fresh fragrance in any room. 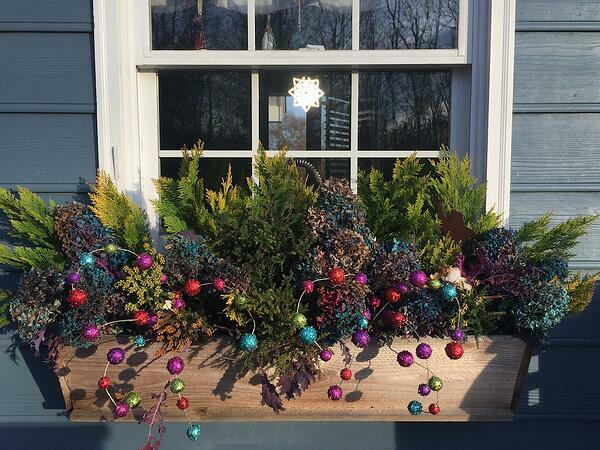 To see step-by-step tips on holiday decorating from the landscape, find my December Soil3 Instagram Takeover highlights and videos by clicking below. I wish you all the happiest of holiday seasons and look forward to sharing more Southern gardening tips in 2019!